One of the first beer related sites I discovered while doing some research for this blog was the PEI Beer Guy blog. In it, the PEI Beer Guy writes a variety of beer reviews and provides updates on news related to the PEI beer scene. His reviews are concise, very well written and cover off a great variety of beers. He has quite a collection of beers in his cellar, and it is constantly growing. Gahan 1772 IPA, Gahan Iron Horse Brown Ale, Pump House Scotch Ale, Gahan Pumpkin Beer, Barnone (PEI’s in development new brewery) sampled beers, Propeller IPA, Sea Level Planters Pale Ale, Hart & Thistle’s Hop Mess Monster 2.0, Garrison Pils, Garrison Raspberry Wheat Ale, Sea Level High Street Wee Heavy Scotch Ale, Pump House Brewery, Sea Level Rojo Mojo Red Ale, Propeller Revolution Rusian Imperial Stout, Garrison Spruce Beer, Hart & Thistle, Garrison Black IPA, Pump House Cadian Cream Ale, Garrison Oktoberfest Brau, Garrison 3 Fields Harvest Ale, Garrison Harvey’s Bitter and Garrison Blackberry Wheat. Another link from the site that I think most readers of this blog would enjoy is the “I am a Craft Beer Drinker” video. Atlantic Canada Beer Blogger (ACBB): Tell me about your blog. PEI Beer Guy (PEI): Almost two years ago, I started wondering why I was only submitting beer reviews and other content to BeerAdvocate. I wanted to own my content rather than just putting everything into someone else’s hands. I thought I could also use this information (and how I kept / presented it) as a way to popularize better brews in my own province. Things have gotten a bit better since I started the blog, but, compared to other places, beer selection (and overall culture) is way behind on PEI. I wanted people to see what variety was out there – what flavours could be had… that beer wasn’t just something you pounded back to get a buzz. My hope was that, in even a tiny way, I could help spread the good-beer word here. PEI: Practice, practice, practice! Once I found and started to sample some different, off-Island brews, I was hooked. Anything different I could get my hands on was (and still is, good or bad) a good experience. Sites like BeerAdvocate or RateBeer helped to pinpoint new flavours and learn about the roles things like different hops, malts, and yeasts played. I also visited the odd blog. Tasting Beer by Randy Mosher was a favourite read and reference source. Also, meeting other beer fans (some who home-brewed) helped to expand whatever knowledge I had / have. My knowledge base is always growing. ACBB: How does an Islander, cut off from good selection, get access to such a wide variety of beer? PEI: In a few cases, since I started the site, I have been given samples (which I always love). In a couple of cases, some good beer Samaritans have brought me things (in a trade or just things they picked up for me) when coming to the Island. For the most part, though, what beers I have found I have found in stores on the mainland. Halifax, in particular, has a few specialty stores I go to when I’m there. ACBB: What are some of your all time favourite beers? PEI: That’s a tough question, given all the different styles. One of my first favourites was Innis & Gunn’s Original oak-aged beer. Lagunitas’ Hop Stoopid gave me my hop epiphany. Some of my other sentimental favourites include the Red Racer IPA, Rochefort 10, and Houblon Chouffe. There is also a special place in my liver for Greg Nash’s Hop Mess Monster 2.0. PEI: I don’t find I have any one time – any free window of time that I can sit and enjoy something for 30 – 60 minutes is great (usually later in the evening). I do enjoy sharing a brew with fellow beer enthusiasts (at a pub or a tasting event), though. For my own blog-bound tastings at home, I generally pick a beer from my collection, get a camera, get a glass, pour, take a few pics, take some notes, and enjoy it – preferably by the fireplace in the basement… preferably with a hockey game on. PEI: I haven’t had anything really unusual happen yet. I’m always interested in seeing who follows my site (and what brings them there), the comments that get left, things like that. I like the interactions and the kind things some folks say. I’ve had a few brewers (and I mean few) contact me and send me some brews to review (I review and post anything I receive). That’s always a bit of a buzz, no matter who it is. ACBB: How would you like to see the Atlantic Canada Beer scene improve? PEI: I wish rules made it easier to make and get good brews. For example, PEI has a law that limits brewers to only brewing beers up to 6.5%. I also wish shipping across borders was easier and cheaper. I’d like to see more Atlantic brews available in all provinces (Propeller, Yellowbelly, etc. on PEI), but it often makes no sense – Garrison, for example, makes less money on every beer they sell in PEI – it’s why Picaroon’s won’t come here. ACBB: What are your beer related plans for 2012? I’ve added a RSS feed at the bottom right hand corner of my blog to highlight the PEI Beer Guy’s recent entries on an ongoing basis. RSS feeds have also recently been added for the Great Canadian Beer Blog and Canadian Beer News as well. 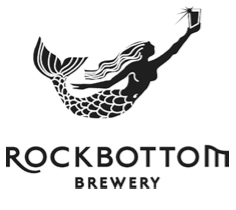 As noted on the Canadian Beer News, updates have been posted on Halifax’s Rockbottom Brewpub Brewer’s Blog regarding its on tap selections. Jacktar Nitro, a variation of their Jacktar Stout, is now available on tap. A tweaked version of their hoppy Fathom IPA will be available this Friday with a tapping of a firkin of the same taking place this Saturday. Celebrate Valentine’s Day at Rockbottom by enjoying a Russian Imperial Stout aged on a variety of berries. Thanks to @BrewersofCanada for tweeting to me (is that proper social media-ese?) about this post on Canadian Beer News. Canada’s two greatest passions (beer and hockey) will be combined in a new exhibit called Hockey Bar at the Confederation Centre of Arts in Charlottetown, PEI from February 4th to April 15th.